Remember in my last couple of weeks of pregnancy when I was on bed rest with symphysis pubis dysfunction (aka, painful separating pelvis)? Actually, I may not have been brave enough to blog about the later days of my pregnancy yet (Spoiler alert- it was HORRENDOUS!) but that was the case in the week and a half prior to my c-section. 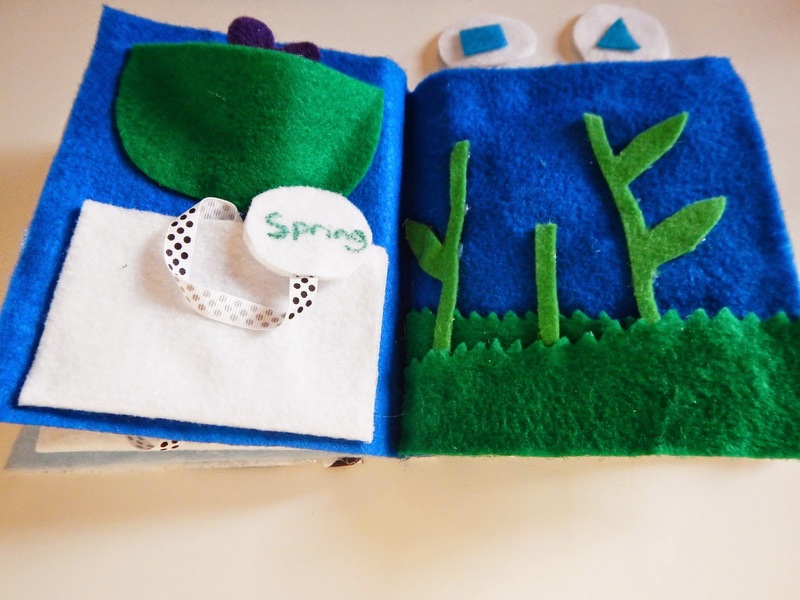 At the time, I occupied myself with work and the odd craft I could do from bed. 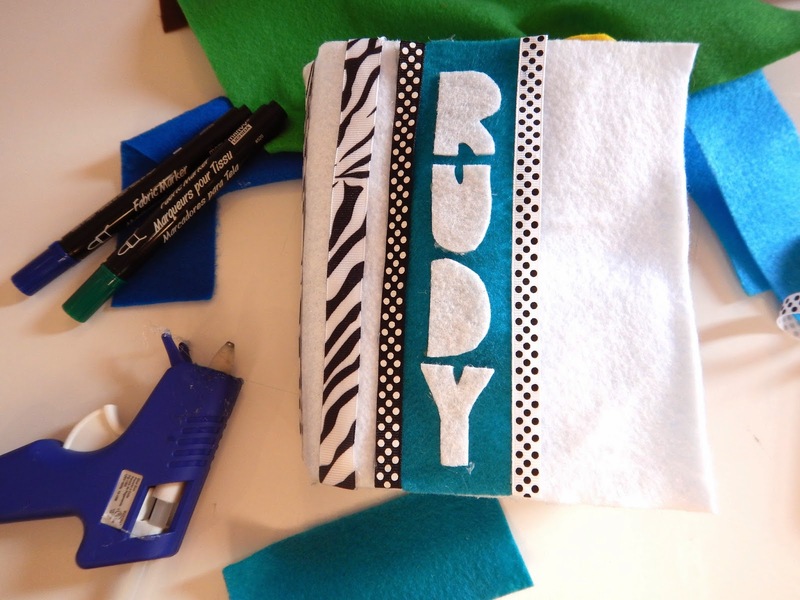 That's when I had the idea to make a quiet book (I've also heard them called story board books) for Rudy. 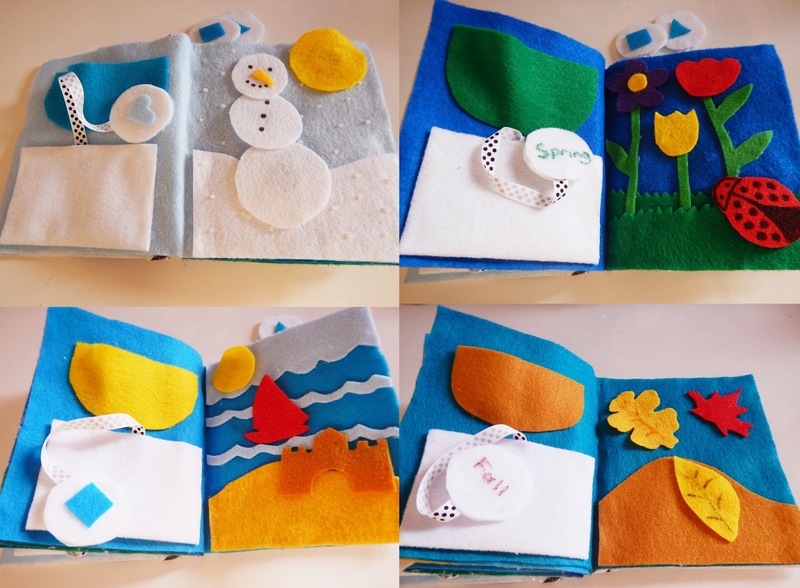 Quiet books are traditionally made with fabric filled with quiet activities for children. 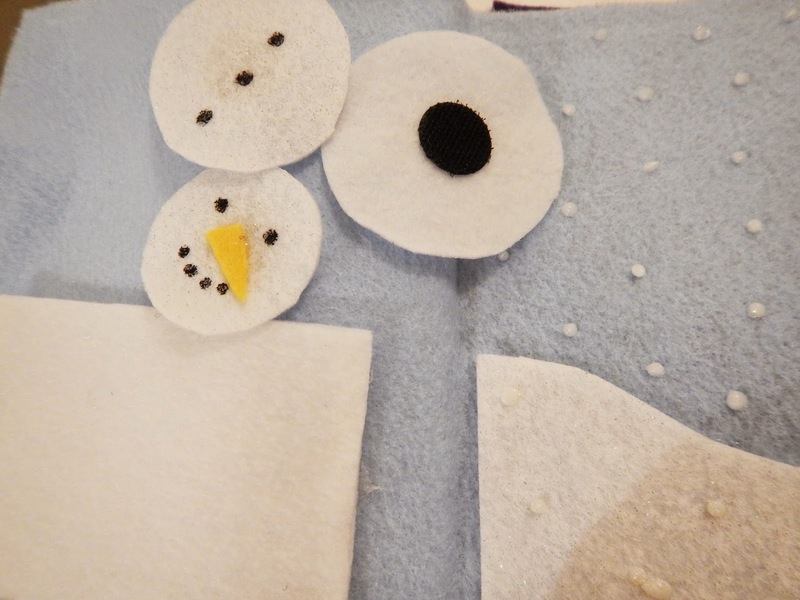 There are ideas and tutorials all over the internet like this one, by Martha Stewart. I wanted to make mine as simple as possible so that Rudy could enjoy it sooner. 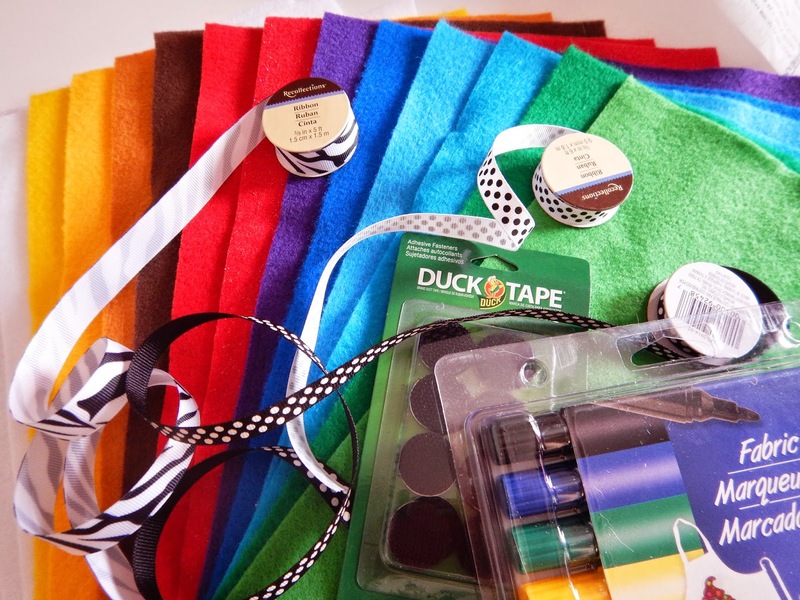 I started with an assortment of felt, ribbon, hot glue, sharp scissors, fabric markers and stick-on velcro dots. I decided an easy theme would be to make four pages, each representing a different season. I cut out shapes for Rudy to (in several months) stick to the pages to arrange a scene. 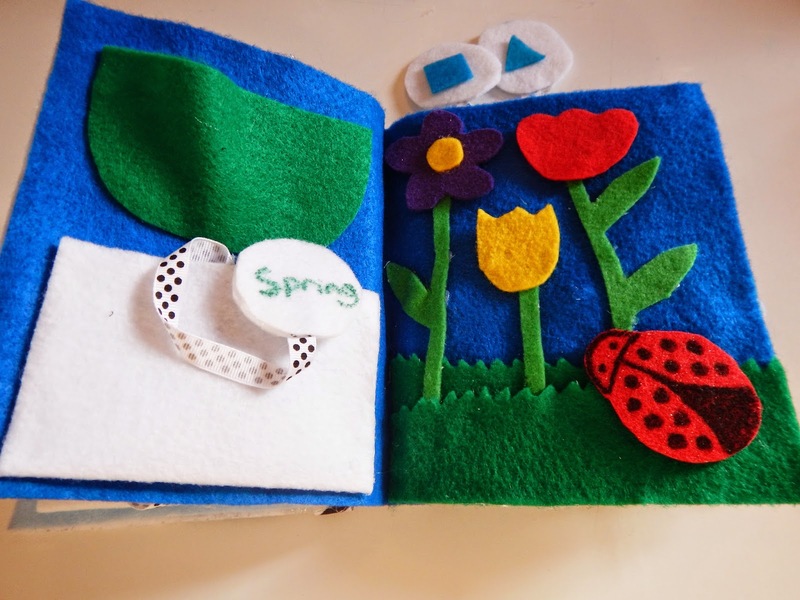 Because the felt is soft, I only needed to use one side (the hard, hook side) of the velcro, which would stick to any part of the felt page. 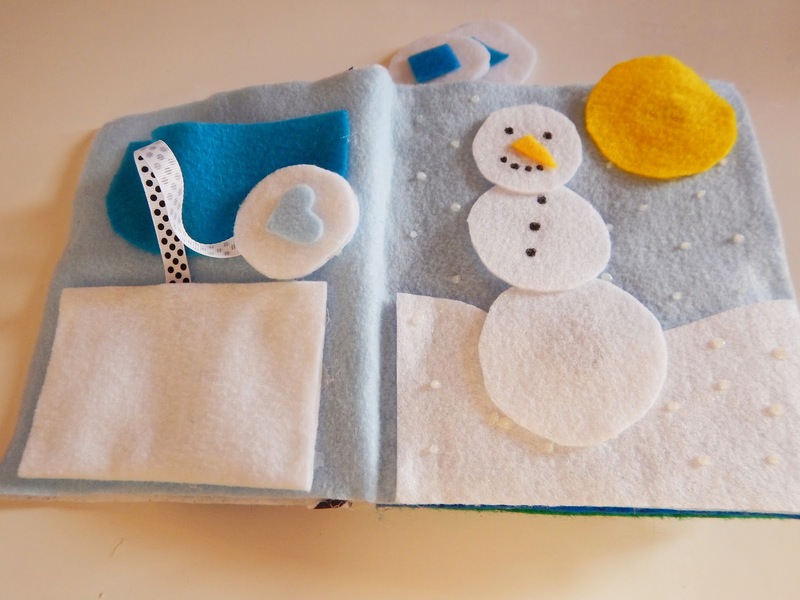 Each page had a pocket to hold the shapes. Hint: In order to make the more intricate shapes, I googled the name of the shape and "cookie cutter" to find a good template to mimic or trace. 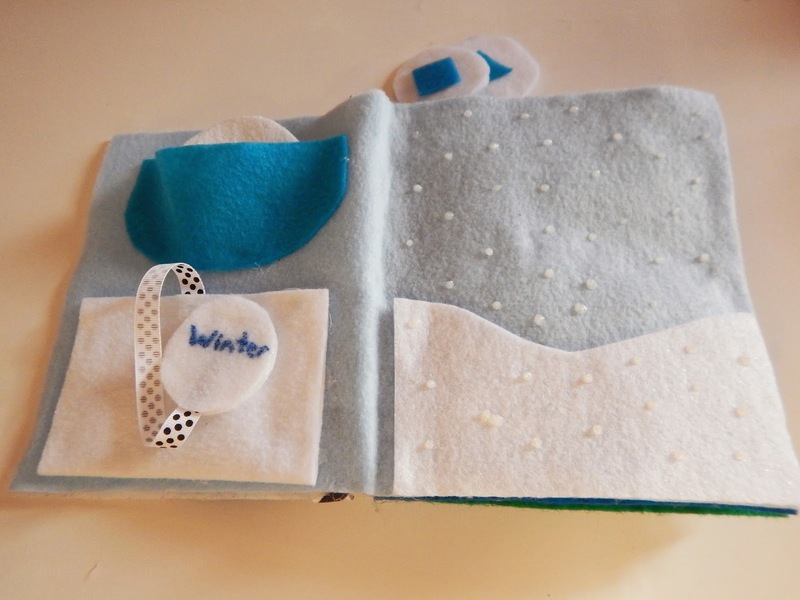 The cover also includes a pocket holding the letters of her name. What do you think? Would you make one of these?